I have been a long-time community leader who recently led the successful ballot measures for the Olympia Metropolitan Parks District and Olympia School Bond and Levy. I am Past Chair of the Thurston County Chamber of Commerce, Past President of the Thurston County Bar Association, Past President of the Olympia Rotary Club, Past President and Chair of the United Way of Thurston County, and Past Chair of the Olympia Planning Commission. I have led the effort to complete the North Capitol Campus as designed by Capitol Campus architects, Wilder and White and the Olmsted Brothers, and am President of the Olympia-Kato Sister City Association. I have served on the boards of the Thurston Regional Planning Council, the South Sound YMCA, the Providence St. Peter Foundation, the Olympia School District Education Foundation, the Washington Center, the Olympia Symphony, and Catholic Community Services. In 1998, I was honored as Thurston County Citizen of the year, and was named Olympia Rotarian of the year in 2002. I am a Fourth generation Washingtonian. I graduated from the University of Virginia and Seattle University Law School. I have lived in Olympia for 35 years where I raised three now-adult children: Brendan, a geologist; Patrick, a CPA; and Brigit, a high school chemistry and physics teacher. All three are proud graduates of Olympia High School. I have served as an assistant attorney general, as a Thurston County deputy prosecutor, and as a private practitioner in real estate, land use, natural resource, water and environmental law. I also serve as a pro tem judge in District and Municipal Court. I have taught as an adjunct professor at Seattle University Law School and South Puget Sound Community College. I belive in community policing, and will work to make sure that violent offenders are incarcerated and rehabilitated. At the same time, taxpayers will be best served by addressing mentally-ill and non-violent offenders through the therapeutic courts, social services, and diversion programs. I support adequate law enforcement staffing levels that will reduce response time and provide the resources needed to address our most pressing safety issues. I will also make sure that our bridges and roads are safely maintained and upgraded so that we are prepared for natural disasters, and work to increase parking in downtown Olympia. I support building more housing and a new courthouse downtown, along with a parking garage, to increase economic activity and to assist the public in accessing the County agencies and County and City courts. I am also in favor of the purchase and removal of the derelict Capitol Center Building and creating a great civic space in its place, with uses such as a carousel, artesian well, and small boat launch. Such development would protect the Olmsted Brothers view corridor from the Capitol Campus and is consistent with decades of State and City planning. Having recently led the successful Olympia Metropolitan Parks Levy, I will use my community organizing skills to promote environmental protection and restoration in our city. Protecting our groundwater aquifers and watersheds will be a major priority. I am also a strong supporter of habitat and salmon restoration efforts including the reopening of Percival Creek Coho Habitat Restoration Project to recreate the wild salmon run. 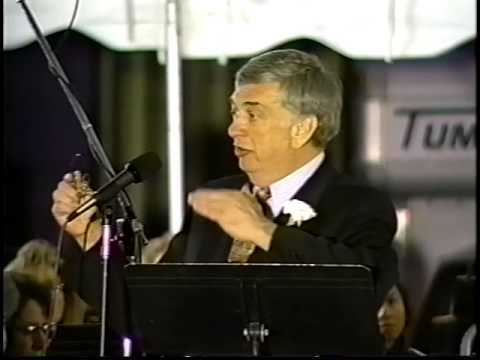 Watch Allen dedicating the Heritage Park Fountain in 1996 with Governor Mike Lowry and Mayor Bob Jacobs. Are you interested in making Olympia a better place to live, work, and raise a family? Being a part of my campaign for Olympia City Council Position 5 is not only fun, but a great way to help make meaningful and positive changes to the place we call home. Put up a yard sign, talk to your neighbors, attend a parade, write a letter, make a post on Facebook, endorse me, or host a fundraising event so I can earn the support of your friends and neighbors – there are dozens of ways that you can help. Send a message to the campaign team to get started at allenmillerforolympia@gmail.com. I would be grateful to have your support, in any form it takes! Thank you for your support in endorsing me! To be added to the endorsement list, please send your info to allenmillerforolympia@gmail.com. If you are current or former elected official or candidate, please let us know what office you held or are running for. If you believe I am the candidate to represent your values on the City Council, seeing your name on this website or a mailing piece could help me earn the support of your friends and neighbors, as well! Thank you to the following for their endorsements!